In 1996, California voters passed Proposition 215, making the Golden State the first in the union to allow for the medical use of marijuana. Since then, 32 more states, the District of Columbia, Guam and Puerto Rico have enacted similar laws. As of Jan. 22, 2018, the Vermont legislature passed adult-use legalization legislation and the governor signed the bill. The measure does NOT set up a regulatory for system for sales or production. See text of measure below. A total of 33 states, the District of Columbia, Guam and Puerto Rico have approved a comprehensive public medical marijuana/cannabis programs. (See Table 1 below for more info.) Approved efforts in 13 states allow use of “low THC, high cannabidiol (CBD)” products for medical reasons in limited situations or as a legal defense. Those programs are not counted as comprehensive medical marijuana programs but are listed in Table 2. NCSL uses criteria similar to other organizations to determine if a program is “comprehensive”: See Table 2 below for more information. It allows either smoking or vaporization of some kind of marijuana products, plant material or extract. In early 2017, the National Academies of Sciences, Engineering, and Medicine released a report based on the review of over 10,000 scientific abstracts from marijuana health research. They also made 100 conclusions related to health and suggest ways to improve cannabis research. In late August 2013, the U.S. Department of Justice announced an update to their marijuana enforcement policy. The statement read that while marijuana remains illegal federally, the USDOJ expects states like Colorado and Washington to create “strong, state-based enforcement efforts…. and will defer the right to challenge their legalization laws at this time.” The department also reserves the right to challenge the states at any time they feel it’s necessary. NCSL’s policy on state cannabis laws can be found under Additional Resources below. Before passing Proposition 203 in 2010, Arizona voters originally passed a ballot initiative in 1996. However, the initiative stated that doctors would be allowed to write a “prescription” for marijuana. Since marijuana is still a Schedule I substance, federal law prohibits its prescription, making the initiative invalid. Medical marijuana “prescriptions” are more often called “recommendations” or “referrals” because of the federal prescription prohibition. Some of the most common policy questions regarding medical marijuana include how to regulate its recommendation, dispensing, and registration of approved patients. Some states and localities without dispensary regulation are experiencing a boom in new businesses, in hopes of being approved before presumably stricter regulations are made. 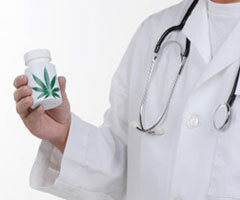 Medical marijuana growers or dispensaries are often called “caregivers” and may be limited to a certain number of plants or products per patient. This issue may also be regulated on a local level, in addition to any state regulation. No, but adults over 21 may purchase at retail adult dispensaries. Yes, for AZ-approved conditions, but not for dispensary purchases. Approved in Nov. 2014, not yet operational. Yes, if the other state’s program are “substantially similar.” Patients must fill out Nevada paperwork. Adults over 21 may also purchase at adult retail dispensaries. Yes, with a note from their home state, but they cannot purchase through dispensaries. Ingested doses may not contain more than 10 mg of THC, product may not be combusted (smoked). Does not have a medical program. Details pending, but will require reciprocity. No, but adults over 21 may purchase at adult retail dispensaries. H.511 approved by legislature, signed by governor 1/22/18. Does NOT provide for legal production or sales. Allows adults 21 years or older to possess up to one ounce of marijuana. Selling marijuana in Vermont remains illegal. Public consumption of marijuana is also not allowed. Yes, approved as of Nov. 2012, stores opened in July, 2014. No, but adults over 21 may purchase at an adult retail dispensary. FAQ about WA cannabis laws by the Seattle Times. Yes. No whole flower/cannot be smoked but can be vaporized. No, but may allow terminally ill to buy in other states. *The links and resources are provided for information purposes only. NCSL does not endorse the views expressed in any of the articles linked from this page. ** While Montana’s revised medical marijuana law limits caregivers to three patients, caregivers may serve an unlimited number of patients due to an injunction issued on January 16, 2013. SB 174 “Carly’s Law”(Act 2014-277) Allows University of Alabama Birmingham to conduct effectiveness research using low-THC products for treating seizure disorders for up to 5 years. HB 61 (2016) Leni’s Law allows more physicians to refer patients to use CBD for more conditions. Provides legal defense for posession and/or use of CBD oil. Does not create an in-state production method. Yes, debilitating epileptic conditions, life-threatening seizures, wasting syndrome, chronic pain, nausea, muscle spasms, any other sever condition resistant to conventional medicine. Yes, 5 registered nurseries across the state by region, which have been in business at least 30 years in Florida. Law allows University System of Georgia to develop a lot THC oil clinical research program that meets FDA trial compliance. Cannabis oils with low THC= below 5% THC and at least an equal amount of CDB. Doesn’t define or provide in-state methods of access or production. “Cannabidiol- a non-psychoactive cannabinoid” that contains below 3% THC, no more than 32 oz, and essentially free from plant material. Is composed of no more than three-tenths percent (0.3%) tetrahydrocannabidiol by weight; is composed of at least fifteen (15) times more cannabidiol than tetrahydrocannabidiol by weight; and contains no other psychoactive substance. At least 5 percent CBD by weight. No more than .3 percent THC by weight. Exempt cannabidiol from the definition of marijuana and allows it to be administerd by a public university or school of medicine in Kentucky for clinical trial or expanded access program approved by the FDA. Universities in Kentucky with medical schools that are able to get a research trial. Doesn’t allow for in-state production of CBD product. Yes, creates cannabidiol oil care centers and cultivation and production facilities/laboratories. Yes, intractable epilepsy that has not responded to three or more other treatment options. “Hemp extracts” equal or less than .3% THC and at least 5% CBD by weight. University research studies with a hemp extract registration card from the state DHHS or obtained from another jurisdiction that allows removal of the products from the state. “Hemp extracts” with less than nine-tenths of one percent (0.9%) tetrahydrocannabinol (THC) by weight. Is composed of at least five percent (5%) cannabidiol by weight. A preparation of cannabis with no more than .3% THC in liquid form. -The principal investigator and any subinvestigator may receive cannabidiol directly from an approved source or authorized distributor for an approved source for use in the expanded access clinical trials. Some have interpreted the law to allow patients and caregivers to produce their own products. Lennox-Gastaut Syndrome, Dravet Syndrome, also known as severe myoclonic epilepsy of infancy, or any other form of refractory epilepsy that is not adequately treated by traditional medical therapies. Creates a four-year study of high CBD/low THC marijuana at TN Tech Univ. Only products produced by Tennessee Tech University. Patients may possess low THC oils only if they are purchased “legally in the United States and outside of Tennessee,” from an assumed medical cannabis state, however most states do not allow products to leave the state. Allows for legal defense for having the product as long as it was obtained legally in the US or other medical marijuana state. Yes, licensed by the Department of Public Safety. Not completely clear, however it may allow higher education institution to grow or cultivate industrial hemp. Yes, intractable epilepsy that hasn’t responded to three or more treatment options suggested by neurologist. No in-state means of acquiring cannabis products. Cannabis oils with at least 15% CBD or THC-A and no more than 5% THC. Physicians and pharmacies with an investigational drug permit by the FDA could dispense cannabidiol. Qualified patients would also be allowed to access CBD from an out-of-state medical marijuana dispensary that allows for out-of-state patients to use their dispensaries as well as remove the products from the state. No in-state production/manufacturing mechanism provided. Exception to the definition of prohibited THC by state law, allows for possession of “cannabidiol in a form without a psychoactive effect.” THC or CBD levels are not defined. No in-state production or purchase method defined. “Hemp extracts” with less than 0.3% THC and at least 5% CBD by weight.